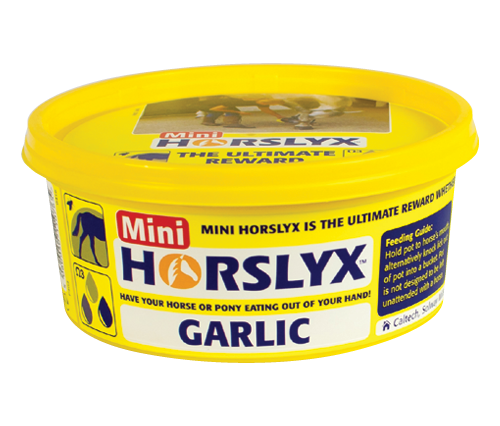 Mini Horslyx is the perfect choice for horse owners who want to reward, distract (or bribe!!) 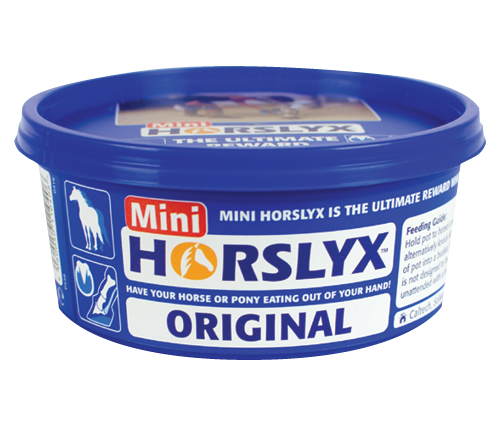 their horse or pony with a nutritious alternative to sugary treats. 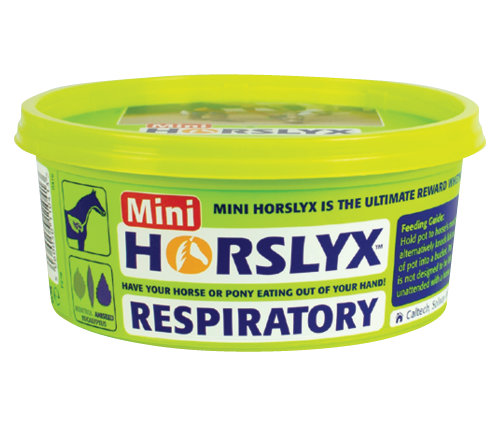 Mini Horslyx is available in Original, Mint, Respiratory, Garlic and NEW Mobility formulations and comes in 650g hand-held tubs. 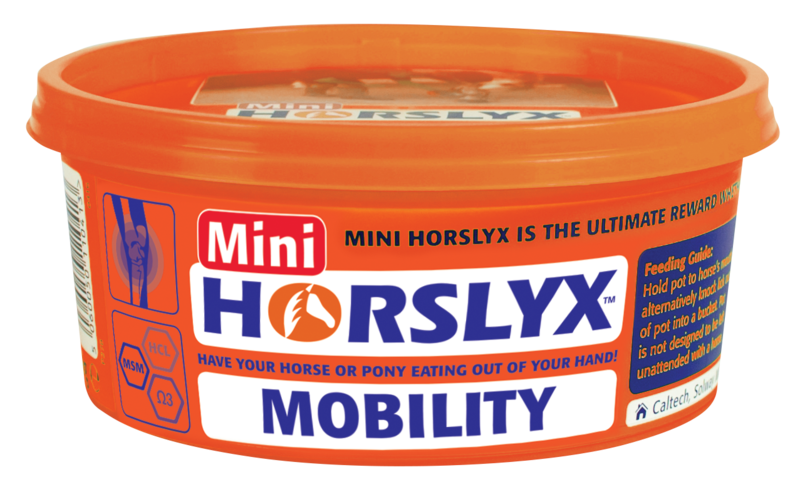 NEW Mobility Mini Horslyx contains Glucosamine HCl, MSM and Omega Oils for the Ultimate Stretch and is designed to complement the everyday joint support provided by the 5kg and 15kg Horslyx Mobility Balancer. 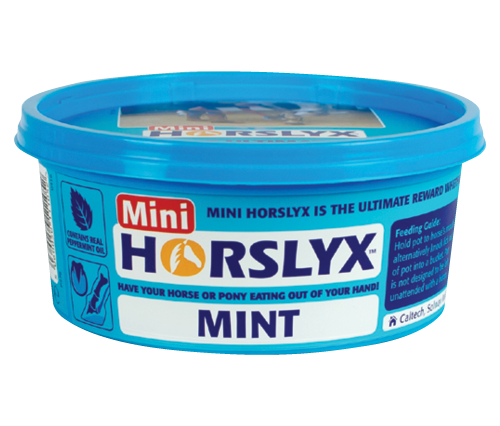 Unlike carrots and treats, Mini Horslyx cannot be broken or snatched, so it makes the perfect accessory for performing stretching exercises. Watch our video here. 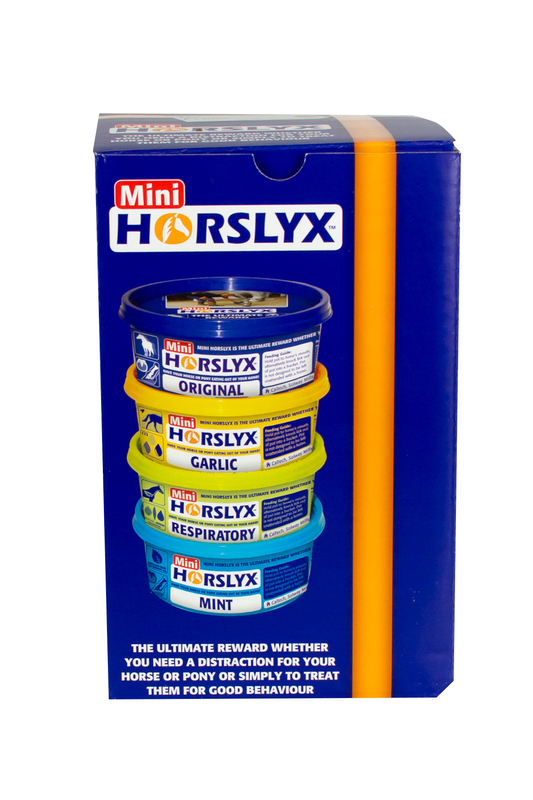 The Rainbow Mixed Mini Horslyx Gift set containing one of each of the four formulations.